Here’s another re-post from Land of Gazillion Adoptees. This was originally published in January. I know many of you read Part I and look forward to Part II. I promise it is coming soon. For those reading it for the first time, enjoy! 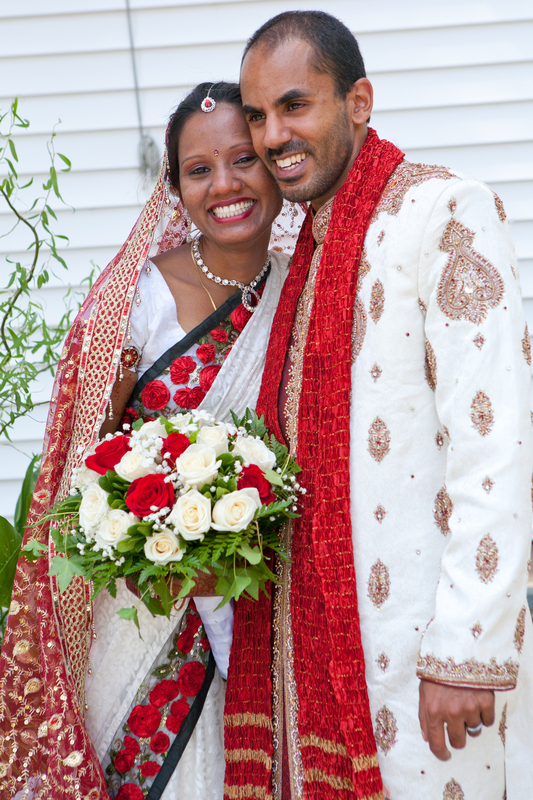 As some of you know, I married the love of my life Sasmita in August of 2012. After a courtship conducted primarily over Skype for more than a year (exactly 380 days), we were re-united in mid-July 2012. Less than one month later, we married in New Jersey. We’re settling into married life; it’s an adjustment, as anyone married knows. But our added complication is Sasmita’s massive culture shock. For those of you who don’t know, Sasmita is not a middle-class Indian girl. She basically comes from a lower-income village in Odisha (formerly Orissa), on the Eastern coast of the country. She grew up without electricity and running water, though her family’s house has them now. Her story is a remarkable one of perseverance and forsaking the social conventions of an Indian village and living on her own terms. She learned English in a convent. She told her parents she refused to have an arranged marriage, locked herself in her bedroom for three days in protest and then moved out of their house, at 16 years old. Her native language is Odiya, which apparently is similar to Bangla, or so she tells me. Now she speaks five languages, and has a degree in Pashto. If you’re wondering, my Hindi is still terrible, but she just began giving me informal lessons. But this post is not about her background, but rather what it’s like to marry someone who had never left India and came to the US for the first time in mid-July 2012. There is quite a bit to unpack, so this is just the beginning of the conversation. Her first few weeks after arrival were full of hilarious anecdotes which I wrote down in copious detail, but I’ll relay them to you in short form. There was the time when we were cleaning out my car and she was just about to throw all the trash on my parents’ lawn. I told her we don’t do that here in the US, we have to throw trash out in bags and then the city takes them. The whole concept was completely foreign to her. Then she wanted to drive down the street and throw the refuse in my neighbor’s lawn instead. Finally she understood that everyone (basically) throws out their trash. I told her to look around and notice the lack of garbage on the streets, very unlike India. She understood. I still have to keep my eye on her, as she wants to throw trash out of the car window, when we’re driving. When she first arrived, she was always cold. She was not used to air conditioning being used everywhere. She did not grow up with AC and the only places that have consistent air conditioning in India are houses with their own generators, movie theatres, luxury hotels and modern offices. One of her biggest adjustments was the blandness of American food to her Indian tongue. Few things during our first month together were spicy enough for her. She called most typical American food “sick food,” meaning it was the type of food without flavor that her parents would give to her or her siblings when they were ill, so as not to upset their stomachs. She still likes food WAY more spicy than I can handle, but she’s past cutting up green chilies and putting them in everything she eats. We went to Charlottesville, VA for our honeymoon. This was during her ‘eat as spicy as possible stage,’ and if you want to know where to get good Thai, Indian, or Asian Fusion, I can tell you, since that’s basically all we ate. While there we made a late morning trip to Monticello, the home of Thomas Jefferson. It is an amazing estate, technologically advanced beyond its time with his inventive touches dotting the house, like natural air conditioning, a small revolving door for servants to put food on without hearing private conversations in the dining room, etc. As any of you know who have been to such places, they always have a type of museum or series of displays about life ‘back in the day’ 300 years ago when people did not have many of the modern amenities, like showers, electricity, etc. But that world was Sasmita’s reality for most of her life. She did not really understand why Americans made such a big deal out of it. She’s right, people without electricity and running water and so many other modern luxuries number close to two billion people, if not more. It’s easy to overlook that for those raised and living in America. But when you’re with someone who has spent their lives in a place that sneezes at something as young as 300 years old, it’s a different experience. Indian monuments, temples and palaces date back a few thousand years, our country is so young compared to the rest of the world. I gently reminded her we did the same thing in Jaipur, Rajasthan, only the ‘house’ was a two-thousand year old palace on a mountaintop with a moat and its inhabitants were Kings. I guess it is all relative. But beyond the time difference, what I think she was trying to explain was the emphasis on Jefferson the man, and the times he lived in. We did not get that same type of detailed perspective at Indian tourist sites. 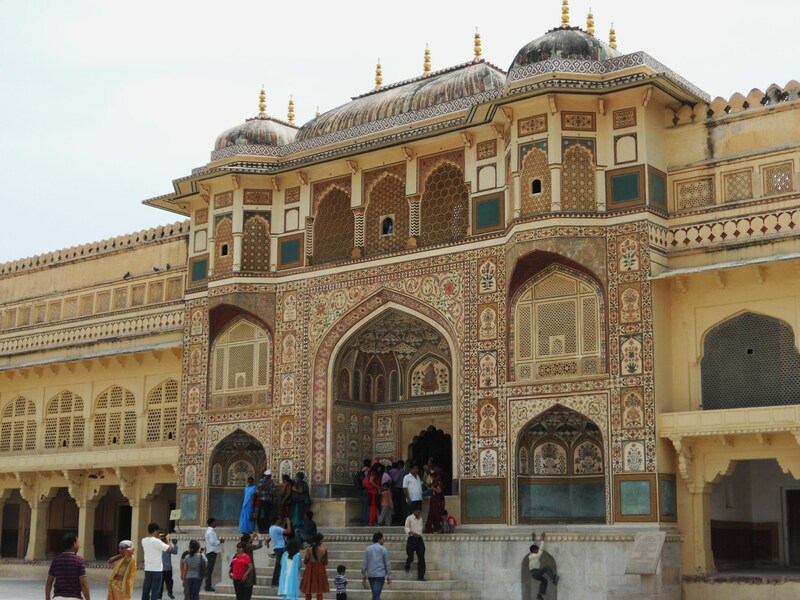 No part of our Jaipur palace tours ever really felt personal and she picked up on that difference. One of the first things we did together after she arrived in New Jersey was find an Indian grocer to buy familiar items. She was so excited to see they had her exact brand of chai. Her eyes lit up with joy. And she makes chai the way I remember it in India, with fresh ginger, boiled half and half and LOTS of sugar. 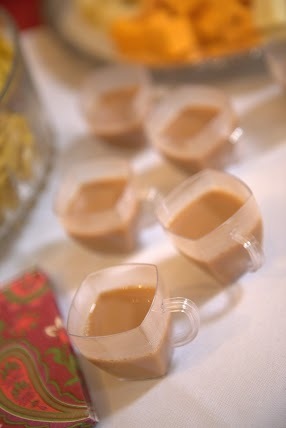 The best chai I had in India, funny enough was the small plastic cups of it from the ‘chai-wallahs’ at the train stations. For anyone who has traveled in India and found the chai in this country tastes nothing like what they get here, come to our apartment. We have authentic chai! After our honeymoon as we were settling into our apartment in DC, we went on a mission to find an Indian grocery store near our place. Luckily we found one. It is on the way home from my office in Maryland. Sometimes, Sasmita does not know the English word for some items that she wants. But she must have them for cooking. She tries to describe them, but frequently I’m just clueless. But I don’t let our language barrier keep her from what makes her comfortable. After work I’ll drive to the grocer, call her when I get inside and then immediately hand the phone to someone who speaks Hindi. A few minutes later after a mixture of carefully watching the shopkeeper deftly place items into my cart, and my wandering around the store trying to read labels, our food for the week is purchased.